~ Crown Thinning which consists of the selective removal of branches to increase light penetration, air movement, and to reduce weight. ~ Crown Cleaning which consists of the selective removal of dead, dying, or diseased branches, weak branches and/or watersprouts. ~ Hazard Reduction Pruning (HRP) which is defined as the aggressive pruning of a mature tree with laden, broken, or potentially hazardous branch structure. This method is comprised of the removal of dead, dying, or diseased limbs, inferior and weak branch attachments, and visual hazards. HRP is recommended when the primary objective is to reduce danger to a specific target caused by defined hazards in a tree. 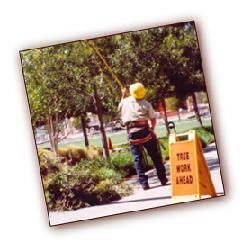 For example, HRP may be required if a tree has many heavily laden or dead limbs over a park bench, a car, or a house. Urban landscape trees often grow in soils that do not contain sufficient nutrients for proper growth and development. Since trees require certain nutrients to function, fertilization should be considered. Using a soil injector, liquid fertilizer is injected through a needle at 250 psi. 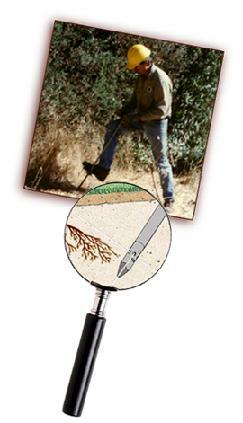 When inserted into the soil around the root zone of the tree, the needle also ruptures the ground, helping to aerate the soil and aid in the proper exchange of gases that naturally occur during respiration. Call Biota Tech Services, Inc. for advice on application rates, timing, and product recommendations. Beneficial fungi and bacteria increase stress resistance, drought tolerance, and the viability of trees in distressed soils. When the soil is inoculated with ectomycorrhiza, growth promoting beneficial bacteria, humic acids, amino acids, and sea kelp extracts, the availability of water and nutrients can increase from 100% to 1000%. Landscape plants and trees should be selected based on the composition and pH of the soil they will live in. Done properly, your investment will thrive if regular care coincides with their needs. If landscape culture and tree health are not harmonized, plants weaken and invite pest and disease problems. Several natural methods of control are available to optimize tree health. In lieu of toxic pesticides, many environmentally sound products now exist that keep families and pets safe during use. Insecticidal soaps should be considered when pests are most active in late spring and early summer. Horticultural oils can also be applied during the dormant season between bud swell and bud break to kill undeveloped eggs. Tree selection is one of the most important decisions you can make when landscaping a new home or replacing a tree lost to damage or disease. Considering most trees have the potential to outlive the people who plant them, the impact is one that can influence a lifetime. Match the tree to the site and everybody will benefit. Your new tree is an investment. 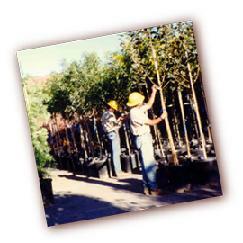 How well it grows depends on the type of tree and location you select and the care you provide after it is installed. Contact Biota Tech Services, Inc. for expertise in selection and planting. 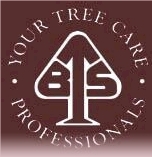 You should never attempt to remove a tree yourself ~ it can be a dangerous undertaking for inexperienced individuals. Most cities have ordnances in place which vary from private trees in your own yard to those maintained by the city. Many will impose heavy fines for tree removal carried out without following regulations set forth by the town you live in. Once your tree has been safely removed, a stump will be left in its place. 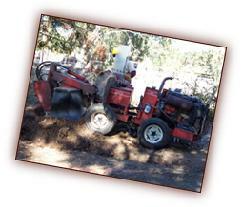 Grinding is the most cost effective way to remove stumps and minimize damage to your property. It is done in place with equipment that grinds 16” to 24” below grade level. Grinders reduce the stump to small chips that can backfill the removal area as it works. In most cases, once we are finished, there is no sign that equipment was ever on your property. 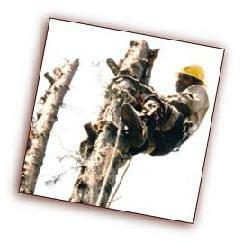 Tree removal and stump grinding require the use of two separate crews with different equipment. Both tasks normally do not occur on the same day, but are scheduled as close together as possible. Remember that undertaking these tasks can be dangerous ~ Biota Tech Services, Inc. has certified highly trained climbers and grounds men with many years of experience in tree and stump removal.